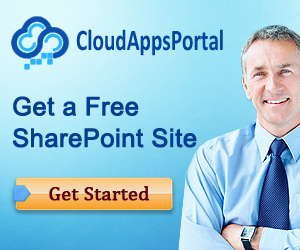 Most customers and SharePoint consultants share a vision, or dream if you will, of a SharePoint work environment that can be accessed anywhere, anytime, anyhow. Lately, we’ve actually met several people (completely separate from each other) that walked around with plans of creating some sort of IPad or smart phone support for SharePoint. It seems that Infragistics SharePlus will be shattering those ambitions. It also seems that SharePlus provides a missing piece of the “anywhere, anytime, anyhow” puzzle and may just well prove to be strategically important to Microsoft as well. Lite, this version is free and is primarily intended for reading documents and list items. Pro, this version (at the time of writing) costs $19,99 and offers a full-blown content and document experience AND offers offline support. Enterprise, the price of this version depends on the situation and amount of users. This version is meant for in house deployment within a company, and therefore offers features such as rebranding and custom on demand features. It makes reading Office and PDF documents easy. It has Message File support. You can open mail files (.msg and .eml) and reply to message’s recipients, forward messages, and browse attachments. It allows you to navigate sites, lists, list items, and list item metadata. It allows you to search within a list. It offers a drag n drop UI for sorting and grouping. It allows you to manage your calendar, contacts, and tasks. It has offline support for lists. It adds an additional level of security for your client device (such as encryption for data that is locally stored). For iPad2 and iPhone: support for capturing and uploading audio and video recordings. Search bonuses such as searching within a user profile or within a list. 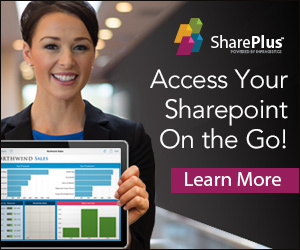 For sure, SharePlus is an interesting product that has caught our attention. If you feel the same way, the home of SharePlus is http://www.shareplusapp.com/. We were looking for this: good articles about extending nodes in the SharePoint Server Explorer ( http://www.chakkaradeep.com/post/SharePoint-2010-Extending-a-SharePoint-Node-in-Server-Explorer.aspx ) and extending the SharePoint tools in VS.NET ( http://msdn.microsoft.com/en-us/library/ee256693%28VS.100%29.aspx ). The book PowerShell and WMI (a collection of Windows management facilities) teaches how to use the combination by example. The book contains 150 examples (all ready to use scripts) that simplify day-to-day management tasks and demonstrate best practices. The scripts discuss tasks related to system hardware and configuration, disk systems, registry and file system administration, services and processes, printers, network adapters, IIS, server configuration, users and security, logs, jobs, and performance, and administering Hyper-V. It’s written by Richard Siddaway, a PowerShell MVP. Another one of Margriet’s Ninja blog posts: http://blogs.technet.com/b/wikininjas/archive/2012/05/22/synergy-in-social-computing.aspx , it’s about synergy in social computing. We enjoyed this article http://msdn.microsoft.com/en-us/library/ff181518.aspx which explains how to convert Word documents to PDF using Word Services. 2. Run the SharePoint Configuration Wizard on each of the Web Front End servers and unjoin them from the farm. Provided no Web Apps were built outside of SharePoint’s control, they should be automatically deprovisioned along with the web sites. 3. Run the SharePoint Configuration Wizard on the App server, and choose to remove it as the last server in the farm. 4. Go into SQL Management Studio and remove the Configuration, Content, and Service Application Databases. 5. Rejoin servers and recreate the farm to your new specifications. The currently used browser needs to be MSIE. It needs to be the 64 bit version.